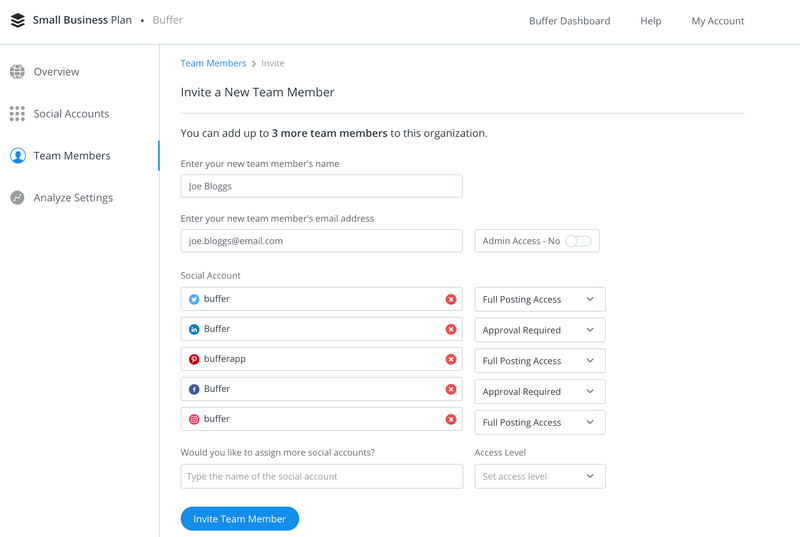 Buffer Publish is our scheduling tool, which enables you and your team to create, collaborate, schedule, and publish content to your social media accounts. Built-in analytics are available, allowing you to track the performance of your posts. 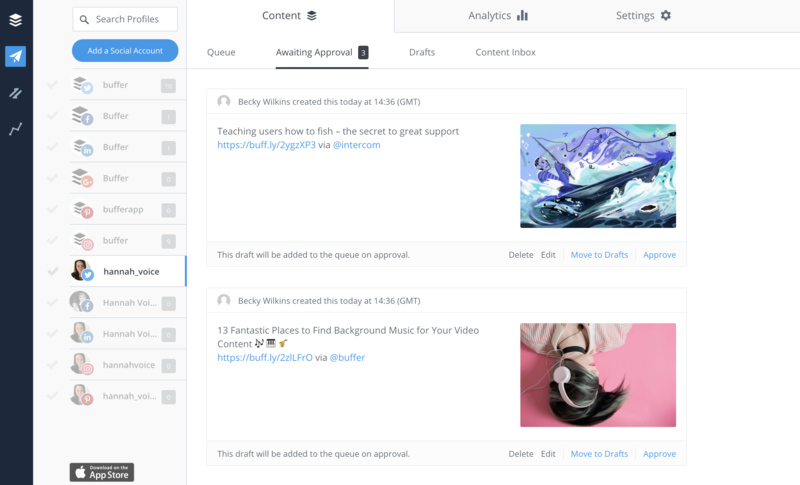 Features like the Posting Schedule, the Tailored Posts Composer, and the Browser Extension, make scheduling your social media posts a breeze! Publish currently supports Facebook, Instagram, Twitter, LinkedIn, and Pinterest. Learn more about our plans and pricing here. New to social media marketing? Check out our best social media marketing guides here! The number of social accounts you can connect will depend on the plan you're subscribed to. Learn more about our plans and pricing here. The option to invite team members is only available on our Business Plans. Learn more about our plans and pricing here. Inviting team members to contribute to the content that is shared on social media, can be a crucial asset in achieving your social media goals. On Publish, team members will be able to create and share draft posts, and you can define which team members will need to have their posts approved. And of course one of the key benefits is that team members’ posts will still be shared within your preset schedule, thus preventing over-sharing or any disruption to your sharing flow. Each of your connected social accounts will have its own Posting Schedule. Each time that you configure here becomes a time slot in your Queue. Then, when you're scheduling posts, you don't need to think about the date and time each one should be published, all you need to do is add them to your Queue and they'll automatically be placed into the next available time slots and published as part of your usual posting flow. Other scheduling options are also available, including the ability to schedule your post for a custom date and time. Posts added by team members with Approval Required Access will automatically be added to the Drafts area. From there, they can request approval on their post, which will move it over to the Awaiting Approval area. Both the account owner, and team members with Full Posting Access, will be able to review and approve such posts. The Buffer Browser Extension makes sharing content even quicker and easier! It allows you to open the Composer on any web page and add posts right to your Queue, without having to go back to your dashboard. The Extension is currently supported on Chrome, Firefox, Safari, and Opera, and you can grab it here! Analytics are only available on our Pro and Business Plans. Learn more about our plans and pricing here. 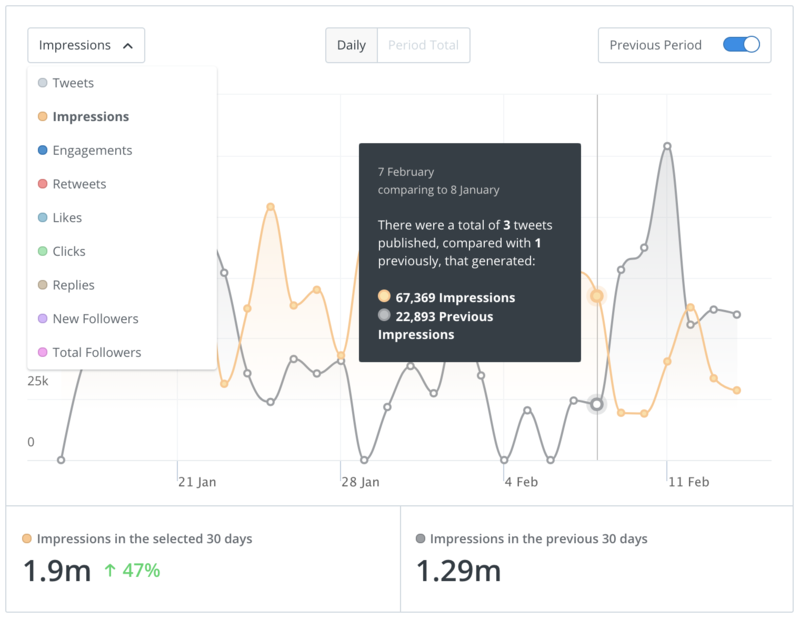 Buffer Publish enables you to track engagements and interactions on the posts you've shared, so you can see how your content is performing across all your social accounts. If you’re keen to Buffer on-the-go, why not grab the mobile app from the Apple Store or Google Play. From connecting social accounts and customising your Posting Schedules, to creating your posts and tracking engagement, the mobile app is feature-rich, allowing you to do almost anything you’d do on the web version!